NASCAR has revealed changes to its Cup qualifying procedure that it hopes will be "fair" and "entertaining" after farcical scenes at Fontana earlier this year. 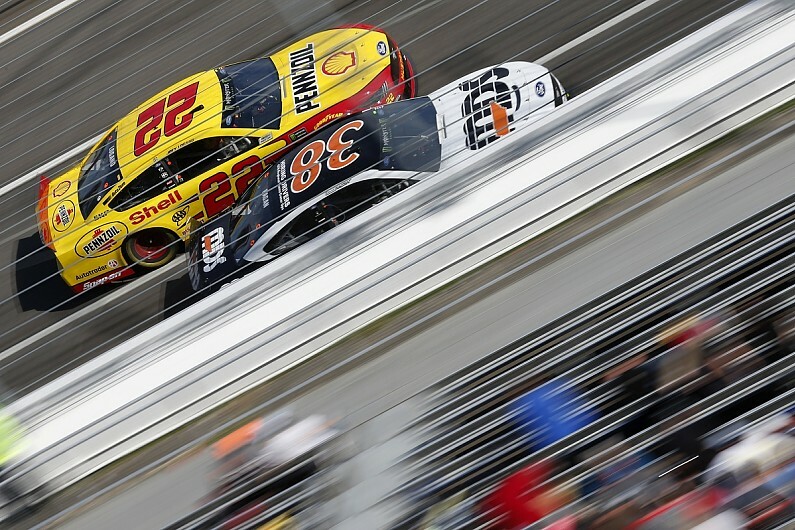 The new-for-2019 aero package has put an emphasis on drafting to set a competitive qualifying lap and it led to many drivers missing out on setting a time at Fontana, which forced NASCAR to set the grid on round two times, rather than the final session. NASCAR said it would review the qualifying format and has announced changes for this weekend's race at Texas. Each track will now have "staging area" for qualifying and once a vehicle leaves that area, it must continue directly onto the race track and the car cannot stop or slow while "properly accelerating to make a qualifying attempt". Any driver who impedes or interferes with another competitor's qualifying attempt, fails to set a time within the session, or engages in an "unsafe act" will be hit with a penalty. At NASCAR's discretion, it will also delete all qualifying session times if a driver does not start a timed lap before the session clock expires due to an attempt to wait for drafting opportunities. "Qualifying is an important element of the race weekend, and NASCAR has worked closely with the teams to implement a procedure that is both fair from a competition perspective and entertaining for our fans," Scott Miller, NASCAR's senior vice president of competition. "Starting this weekend at Texas Motor Speedway, we will implement a procedural change that will be in effect for all three national series. "We expect the updated procedure to result in a better outcome for drivers, fans and our track and broadcast partners."